The long-awaited white model of the iPhone 4 is finally available, nearly a year behind schedule. Apple said Wednesday that white iPhone 4s can be bought through Apple's online store starting Thursday or at Apple stores and authorized retailers. Apple planned to begin selling the white iPhone along with the black model in June of last year but its release was repeatedly delayed by manufacturing challenges in a rare setback for the California gadget-maker. "The white iPhone 4 has finally arrived and it's beautiful," Apple's senior vice president of worldwide product marketing Philip Schiller said Wednesday. "We appreciate everyone who has waited patiently while we've worked to get every detail right," Schiller said in a statement. Apple said the white iPhone 4 will be available on Thursday in Austria, Australia, Belgium, Britain, Canada, China, the Czech Republic, Denmark, Finland, France, Germany, Hong Kong, Ireland, Italy, Japan, Luxembourg, Macau, the Netherlands, New Zealand, Norway, Singapore, South Korea, Spain, Switzerland, Sweden, Taiwan, Thailand and the United States. 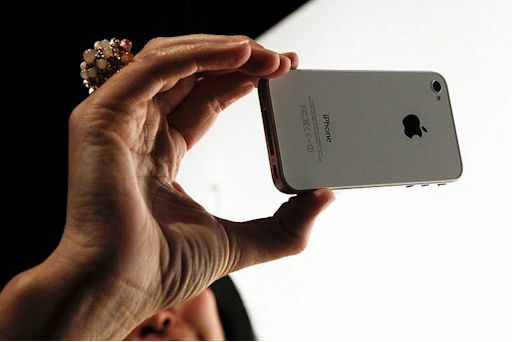 Apple sold 18.65 million iPhones last quarter, up 113 percent over a year ago.